The art of fusing ki. Aikido as a martial art teaches a non-aggressive attitude through an understanding of harmony. Circular movements are designed not to stop an attack, but rather lead that negative energy to a non-conflicting resolution. The art of ki fusion Aikido adds greater emphasis on fusing our ki (chi, or energy) with the attacker’s intention, so as to remove their stability or pillar of support, requiring very little generation of physical energy to overwhelm and subdue them. Without ki, Aikido techniques draw more on the physical and while this can still be effective, a skilled or very strong attacker may be able to counter them more easily. For this reason channelling ki through technical forms is a major focus of our training. In technical training we apply increasing resistance to our partner’s Aikido techniques, and look for possible counter attacks, in order to help them learn to overcome physical strength and trickery. This non-competitive, constructive use of resistance trains us to remain in harmony in the face of conflict, through soft application and blending of ki. This attitude to training will also challenge your own thinking to see others through eyes that are non-confrontational. This allows you to see your real self, and will translate into a natural way of acquiring true strength that others will find hard to conflict with, for it is not seen externally as ego, but rather stored in your ‘hara’ (centre of stability). A focus on ki also makes ki fusion Aikido suitable for those without great physical prowess, including children, many women, and the no longer young. There is always someone stronger and faster, but the founder of Aikido, Morihei Ueshiba, proved that even in advanced old age the use of ki can overcome fit, strong attackers. We understand that it is difficult for many westerners to believe the concept of ki. We invite you to come along to experience it for yourself. The feeling of being placed on the ground softly and effortlessly, in spite of physical resistance, is for many people the source of a fascination that may last a lifetime. You can learn more about the ki fusion approach on our articles page. Mal was first introduced to the martial art of Aikido during the start of a clock and watchmaker apprenticeship in 1977. At that time his trade teacher, David Brown, was also one of Australia’s most senior Aikido students/instructors and Mal soon began studying Aikido as well under his guidance. Extensive years training in Australia and abroad have exposed Mal to different ideas in the way Aikido is studied. He also taught at a Japanese cultural centre for more than sixteen years, introducing groups of school children to Aikido on a daily basis. Mal then went on to start his own organisation, ki fusion Aikido (the art of fusing ki), in 2002. He has for years been teaching instructors from other martial arts, enabling them to adapt and integrate ki fusion principles to enhance their own practice and teaching. Mal’s goal is to help guide people to realise and unlock their true potential through the martial art of Aikido. See our testimonials page for students’ views on the value of the ki fusion approach, including those of many respected figures in the martial arts world – or click to scroll through the excerpts below. I found what I was searching for in the teachings of Sensei Mal McRae. [He] truly fuses the hard and soft together in the most complete and devastating way. Mal is a true Master of the Art of Aikido. … I was convinced karate was the way to go and had serious doubts as to the practicality of the Aikido that I had witnessed. That was before my introduction to ki fusion Aikido… it has been an experience that needs to be felt to be believed. …I never knew how powerful “soft Ki” could be. Master McRae really did open my eyes… I’ve become so much more attuned to conflict within myself and my opponent. This has led to a greater understanding of my own HapKiDo techniques… I have found a rare guide who has not only made considerable progress himself, but has the patience to guide and support others on their journey. Mal McRae’s Aikido works and as Steven Seagal Sensei says, if it doesn’t take up dance lessons. I am humbled by his dynamic Aikido and incredible ki power. I highly recommend Mal McRae Sensei to any Martial Artist who is serious about his Art. …it was not until meeting and training with Mal Sensei that I became aware of the full and very realistic and practical application of Ki. I have found Mal Sensei to be a very gracious and patient teacher. 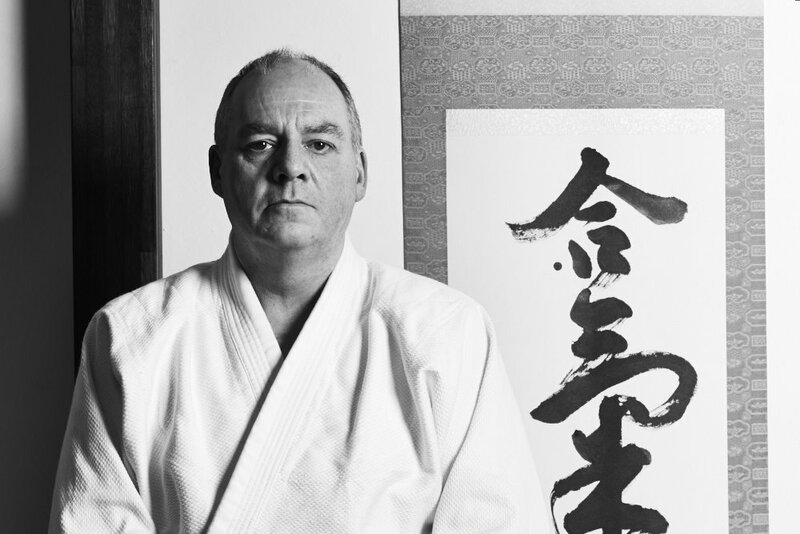 I have been involved in the Martial Arts for over 35 years, and in this time Aikido Master Mal McRae is one of the best I have seen in this industry.